The K-pop newcomers of Noir are all about black -- the color of power and charisma. 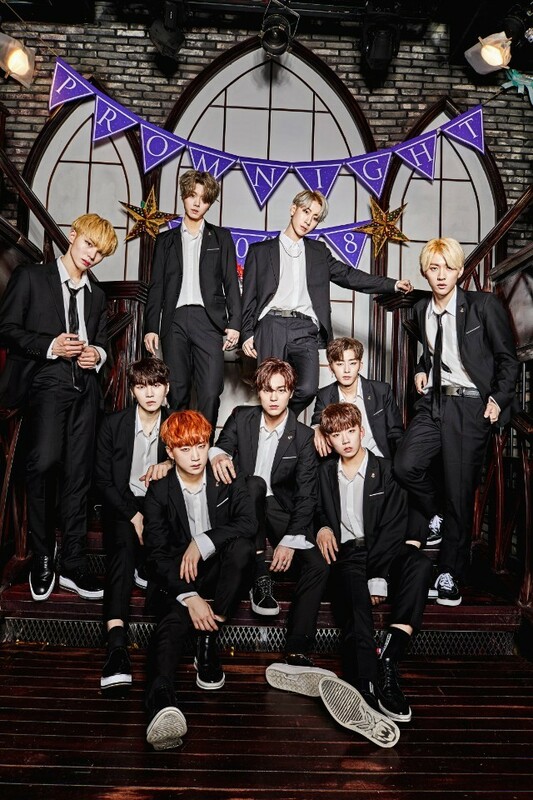 On Monday, nine-member act Noir debuted with the group’s first EP, “Twenty’s Noir.” Featuring six songs, the album is led by explosive electronic dance music track “Gangsta,” which leans heavily on the band’s rappers. Overflowing with propulsive beats, flamboyant synths and EDM breaks, “Gangsta” captures the blazing hearts of nine wishing to capture a woman’s heart. Noir, represented by Luk Factory, consists of Yeonguk, Yoongsung, Hoyeon, Siha, Siheon, Daewon, Minhyuk and leader Seunghoon, who took part in writing majority of the tracks for the album, including “Gangsta.” And just like the color black, which is often made by mixing various colors, the rookie group slides in and out of a variety of styles in its first album. “I wrote the rapping parts in the songs, and I have a lot of interest in songwriting and composing,” said Seunghoon at a press showcase for “Twenty’s Noir” in Seoul on Monday. Yeonguk, Yoonsung and Hoyeon, who competed in the second season of “Produce 101,” also expressed their excitement over the debut, saying their experience on the show served as a stepping stone for their next big move. The future seems to bode well for this rookie who became a brand model for Chinese cosmetics brand AayAay in March, building an international following even before its debut. The seemingly promising group ran into a small hitch, however, as major broadcasters KBS and MBC have judged two tracks from the album -- “Hypnotized” and “Travel” -- as unsuitable to be broadcast due to vulgar language and sexually suggestive expressions. “I feel very sorry for not being able to promote those two songs, as we’ve put a lot of effort into making them. We hadn’t expected such result, actually,” said Seunghoon, who contributed to writing the two songs banned from air. “I admit that I wrote the lyrics quite provocatively. I hope to promote the songs after changing the lyrics,” he added. Hoping to establish root in the K-pop scene with dynamic performances and overwhelming visuals, Noir named K-pop boy band BTS as its role model. “BTS is an amazing group that is successful in both performance and talent, which we aspire to,” Siha said. Noir will hold its first fan signing event on Saturday at My Live Hall in Gangnam, southern Seoul.